How do I change employment & compensation information for an employee? Give someone a raise in the future by adding an employment change effective in the future. GoCo will automatically update the employee’s information on the effective date you choose! Add past historical changes by adding an employment change with an effective date in the past (ie- full-time to part-time moves, etc...). Immediately update employment and compensation by making the changes effective today. 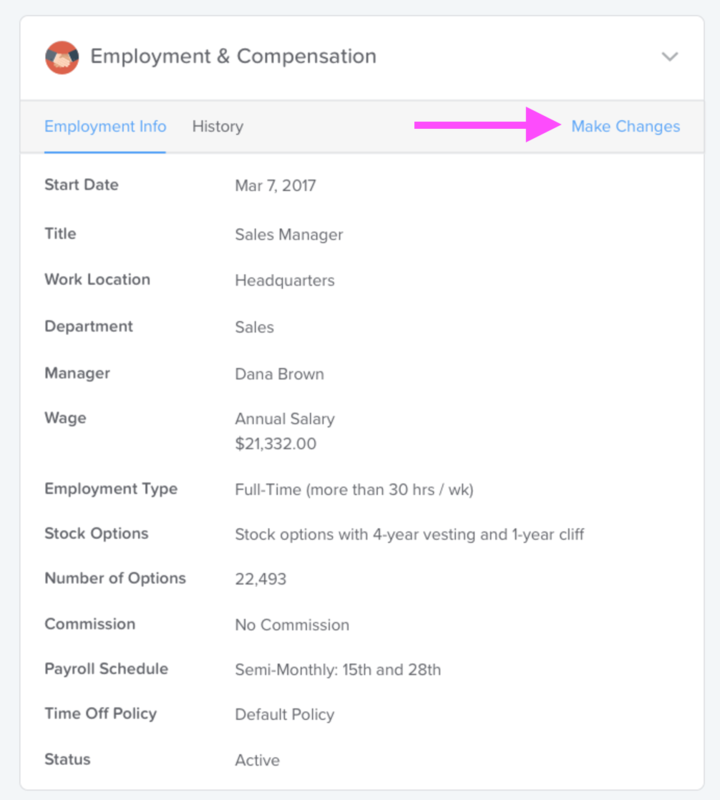 Get started by clicking on the Make Changes link under the Employment & Compensation card from an employee’s profile. 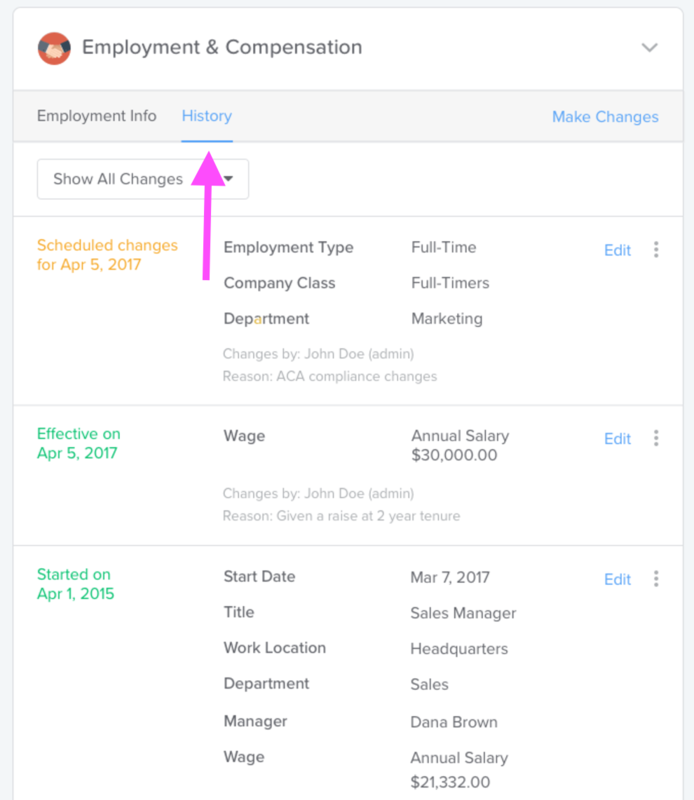 When you make an employment or compensation change, GoCo will show you how your changes will affect the employee’s benefit eligibility, and when their changes will be synced to payroll. Gaining Eligibility – the employee will be offered benefit coverage to enroll. Losing Eligibility – the employee’s benefit coverage will be canceled. Changing Plans – the employee will be asked to enroll in a new plan. No Change – the employee’s benefit won’t be affected by the changes you’re making. You’re able to view how the employment and compensation of an employee has changed over time. Each set of changes will show you the effective date, a list of changed fields, who made the change and their reason. 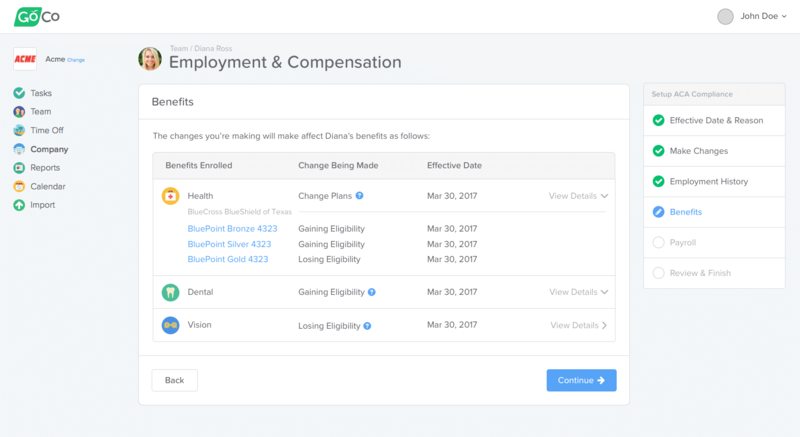 We’re confident this update will bring you and your employees a much-improved experience related to making critical employment and compensation changes.